Demolition crews have finished pulling outdated flats to the ground to pave the way for hundreds of new homes. 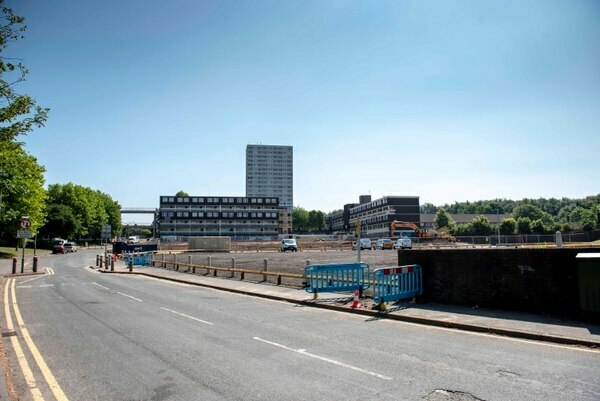 Workers have finally cleared the site on the Heath Town estate ready for more than 300 new properties. It comes as Walker Troup was appointed to sketch the designs for the first homes for the area. Wolverhampton council's deputy leader Councillor Peter Bilson said: “Real change is happening on Heath Town and the appointment of architects brings us another step closer to the reality of new council homes on the estate." 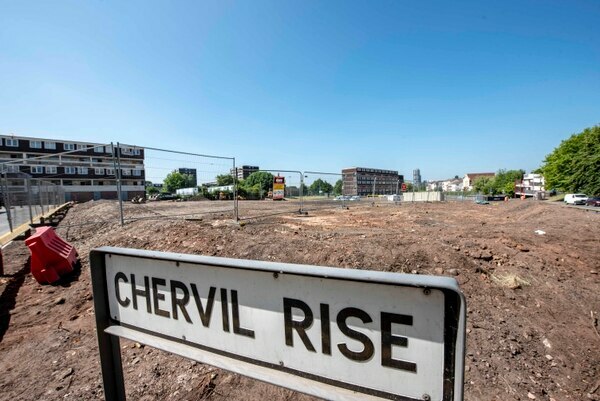 Low-rise buildings in Chervil Rise have been flattened, as well as garages and an underground car park, after standing empty for years. The buildings were pulled down as part of the council's regeneration programme, which will see its revised Heath Town Masterplan rejuvenate the area. The first phase of the project will see about 30 council homes built on land off Hobgate Road, Tithe Croft and Tremont Street - with plans under way to appoint a contractor to deliver them. New homes will include a mixture of one and two-bedroom apartments, two-bedroom bungalows, and two, three and four-bedroom houses. Councillor Bilson, who is also cabinet member for city assets and housing, added: “The majority of the new houses will come with gardens and Heath Town will soon look like a very different place. The pedestrian bridge over Wednesfield Road will be reconnected and all homes will have their own car parking space. Work began to clear the site last November, with walkways and garages demolished in the Hobgate Road area of the estate. Heating pipework was also disconnected and re-routed, while Ling House's ground and lower floors were refurbished to provide new office, meeting and activity space for the Hope Family Centre. An interim car park of 50 additional spaces has since been crafted on the site of the former Chervil Rise blocks and now can be used by Heath Town residents. More than 300 homes for sale and rent, including council properties, are planned for the site as part of the revised Heath Town Masterplan. Birmingham-based DSM Demolition won a contract worth £941,367.55 from the council to carry out the demolition. The scheme is also being delivered at the same time as Wolverhampton Homes’ £50 million investment works, with blocks in Wednesfield Road undergoing refurbishment.